All spices aspire to be an Allspice when they grow up, but they never will be. I think allspice and the All Spark may somehow be connected. 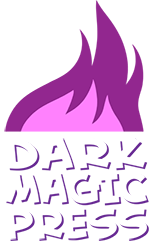 This entry was posted on Friday, February 12th, 2010 at 12:00 am and is filed under Comics. You can follow any responses to this entry through the RSS 2.0 feed. Both comments and pings are currently closed. I wonder what would happen if you shoved some Allspice into Megatron’s chest? In the land of Safeway where the spices go to die. I always thought that All spice was exactly that, but not ALL of them, just commonly used ones, like salt, pepper, garlic salt, ect… The look on the old lady’s face is great. 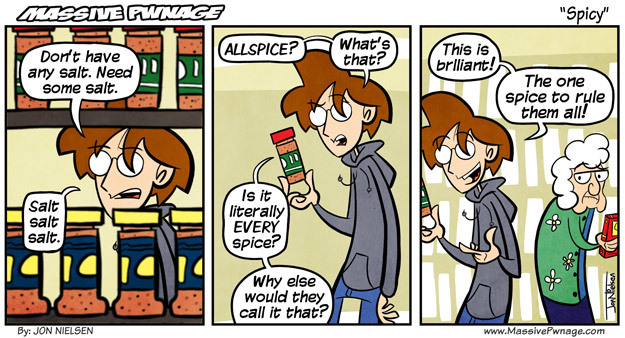 I know I’m crazy late to comment about it, but Allspice is actually one singular spice, not a mix. It’s made from ground Allspice berries and got its name because it TASTES like a spice mix. On another note, it’s tasty in apple pie. And sometimes apple cider.